Messaging apps and mobile services from companies like Zinc and Crew are springing up to help connect workers not bound to a desk with colleagues in the office. Office-based employees have a wealth of software tools available to keep them connected with colleagues and the wider business. Even those working remotely can easily stay in touch with their team through email, enterprise social networks and group messaging tools such as Slack. 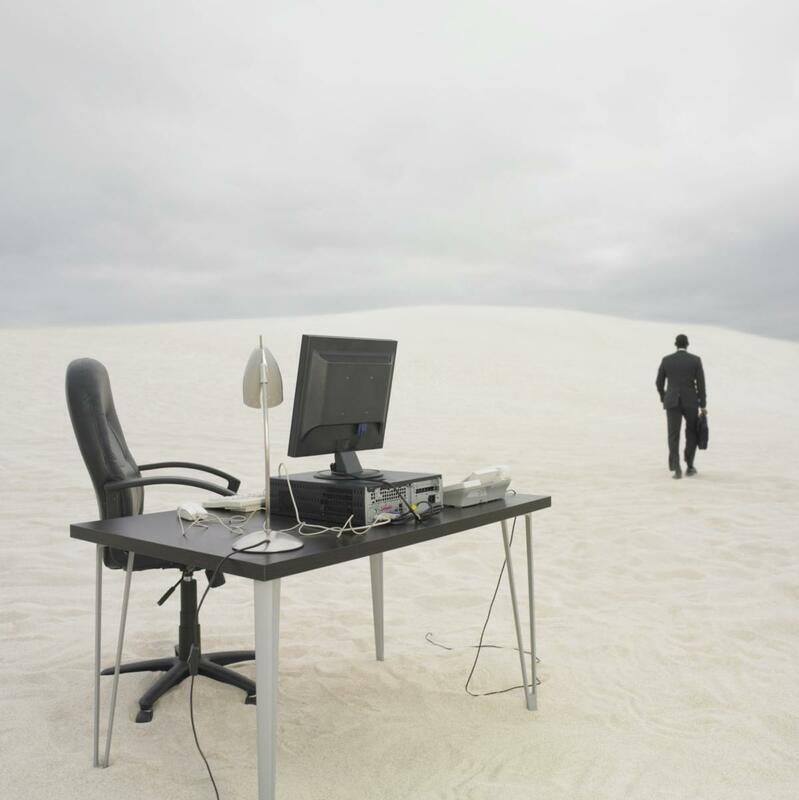 That’s not always the case for deskless workers – the vast, yet underserved chunk of the workforce that tends to fall outside the scope of IT, according to Stacey Epstein, CEO of enterprise messaging app vendor Zinc. An illustration shows several devices running Zinc's communication software. “Deskless workers are doing their job by fixing something in the field, or helping a customer at a hotel desk or a retail store, or if they are in healthcare they are seeing a patient,” said Epstein. “They are not sitting in front of a computer or an office where they can hop into a conference room or even have an impromptu team or group meeting. Deskless workers have different technology requirements than typical office workers, said 451 Research senior analyst Raul Castañón-Martínez. They don’t use a computer as their main device to do their job and communications are often sent via text, or consumer apps such as WhatsApp. Crew users can assign tasks for team members or individuals, whether it be on a one-gtime basis or routine matters such as turning in time cards. The company – formerly known as Cotap – is not the only company targeting non-office-based roles. Crew, which launched in May after operating in stealth mode for two years, is taking the same approach. Both offer apps designed to make it easier for teams to communicate, focusing on core functions required by deskless workers. This includes text, voice and video messaging, one-click calling, video conferencing and file-sharing. A compilation of screenshots shows the Microsoft StaffHub interface. “So they just literally stop communicating at all,” she said. “Or worse, they turn to consumer apps, like WhatsApp or texting, that are easy to use, real time and somewhat effective, but … limited to the people that they know. Vivint Smart Home has 2,000 staffers using Zinc’s mobile platform, including service technicians and sales staff. “One of the challenges is that we have these professionals in the field who have a wealth of experience and information that they have accumulated over years of working with our product and with our customers,” said Kyle Christensen, Vivint's director of corporate communications. Another challenge has been to make the company’s large workforce feel more engaged. 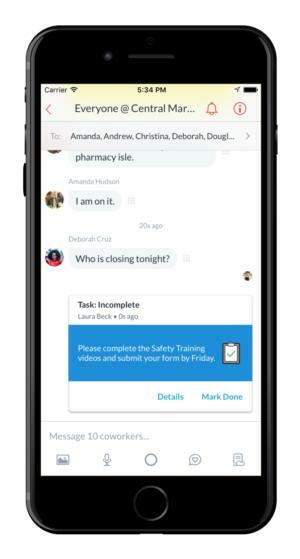 By supporting workers in their jobs, enterprise messaging apps offer a channel for businesses to share information, too – whether that be a corporate strategy update, or safety alert. “It’s not as much a matter of making the case for investing in this area as much as gaining visibility for the use cases these apps cover, since it’s a group of workers that has traditionally not been covered by IT,” said Castañón-Martínez.